The world premiere of Faris Who Talks To Rats is set for the 2018 Ottawa Fringe Festival, running June 14th through June 24th. Santa Claus Conquers the Martians OPENS tomorrow night and runs until December 16, 2017 Wednesday to Saturday at 7:30p.m. plus a Saturday matinee at 2:30 p.m.
Based on the 1964 movie. 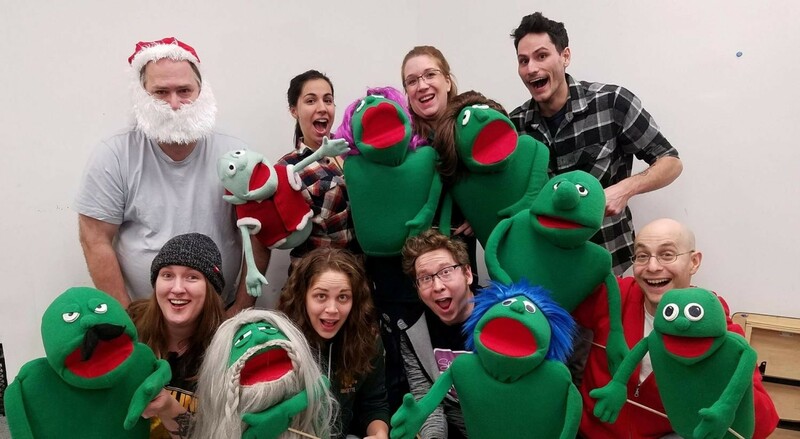 I'll be part of a family friendly production at the Gladstone Theatre this holiday season. Santa Claus Conquers the Martians, adapted and directed by Brett Kelly . "Earth children have had Santa Claus for long enough; now the people of Mars want him for themselves. A rollicking fun show from the creators of My Fair Zombie and last season’s smash hit Phantom of the Opry. Based on the cult film." The Ottawa Fringe has come and gone for 2017. My new solo show had great reviews and I look forward to remounting it in the future. Special thanks to the Ottawa Fringe , the volunteers, my SM, the audience and all the other lovely people who helped me create this enjoyable show. Clowns have been getting a lot of bad press lately. From the creepy clown sightings that popped up across the United States in late 2016 early 2017 to Andrés Muschietti’s downright terrifying remake of Stephen King’s classic horror novel It (slated to come out in September of this year, but the promo material is pure nightmare fuel), now may not be the best time to don that shiny red nose. Local improvisor Mike Kosowan’s thoroughly enjoyable new solo show Incognito: in Wishy Washy plays on this idea and just runs with it. Seamlessly blending together the art of clown, magic, and physical comedy this is one show you won’t want to miss and is easily one of my favourites of the season. 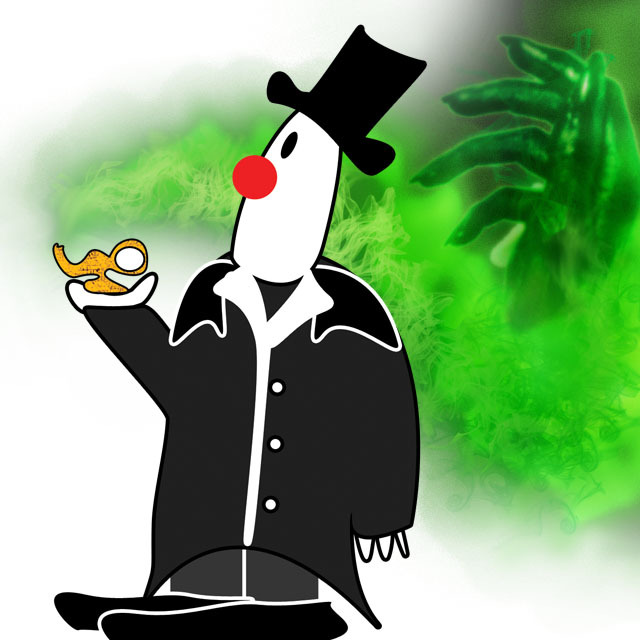 Realizing that a change of occupation is in order, our clown protagonist goes “Incognito” by adopting a magician’s (who has conveniently gone on a break for the next hour) costume. However, the clown soon becomes dissatisfied with the ‘simple’ powers bestowed upon him by the magician’s outfit and orders a magic lamp to help boost his abilities. Our hero soon realizes though (as anyone who is familiar with the arcane arts knows) magic always comes at a price. Kosowan is incredibly charming on stage which undoubtedly comes from his years of work within the Ottawa improv community and with his other troupe Grimprov. The tricks and illusions start small, basic card tricks and the like, and gradually build in impressiveness as the clown syphons more and more magic into his system. The last 15 minutes of this show are legitimately incredible featuring a superbly choreographed light show with the clown fighting to recapture the malevolent wizardry he earlier released unto the space and some of the best juggling I have ever seen in my life (in the dark no less!). Incognito: in Wishy Washy is an excellent display of Kosowan’s creative talents painting him as an adept illusionist, clown, and playwright. I can’t recommend this show enough. It’s a barrel of fun and stars a local artist who has really come into his own here. The PG rating is pretty tame, so I would go so far as to say it’s fun for all ages and not to hesitate bringing your kids along. Historically speaking, clowns have gotten a pretty bad rap but with Incognito: in Wishy Washy Kosowan effectively fights that stigma. These days, if I don’t have have the time to see a clowning show at Fringe, I feel I’ve mismanaged my time in the worst way possible, and Incognito just reinforces that theory. Right from the get go, Kosowan has the audience in stitches with his awkward buffoonery, and I could tell that this show would lock in at a high 4/5. First and foremost in this performance, Kosowan is the clown. Ridiculous antics, slapstick physical comedy, his ability to anticipate and play on the reactions of the audience: these all add up to a thoroughly fluid, thoroughly entertaining performance. On top of this, though, he is also the magician, and has managed to find an intriguing balance between the chaos of the clown and the control of the illusionist. For the purpose of his show, Kosowan’s illusions stay pretty basic (card tricks, sleight of hand, etc…) and, as one would expect, tend not to work as he intends them to. You laugh, time and again, as he struggles, as he draws the wrong card from the deck, but then there’s the switch–the moment that you realize you were so caught up in the comedy that you missed the magic, that he had the right card right where he wanted it all along. It’s simple, but it’s misdirection at finest, and it will not fail to impress. I can’t say a lot more without giving out spoilers, so I’ll just reiterate that this show is a treat and a showcase of all Kosowan’s skills as an entertainer: clowning, improv, magic, and some spectacular juggling as well. If you can, get yourself a front row seat; you’ll want to see every little thing he does and, who knows, you might even get called up to help with one of tricks. And be sure to stick around for final bow of the show’s cast. Clowns have been getting a pretty bad rap lately. Not since John Wayne Gacy have things looked so bleak for the clown people. Mike Kosowan is going to do something about that. In just under sixty minutes, Incognito: In Wishy Washy rebrands clowns back to the loveable goofs they should be. After the cold open, Kosowan’s seldom speaking (as opposed to never speaking) Harpo Clown treats the audience to a magic act that isn’t going very well. It’s hysterically funny and really puts any lingering association with murder clowns to rest. The second half is a classic Genie story that is so expertly told and incorporated into Kosowan’s mischief that one wonders what grander stories Kosowan could tell with his clown. This show is wonderful and captivating. Kosowan’s face is a vehicle for so much pathos and at the same time instills such ethos that, when he spills Doritos all over the floor, I was overwhelmed with feeling. There is a fabulous light show at the end of this show. Let’s just add an epilepsy warning there. For those who have ever loved fireworks, they will certainly love this portion – Kosowan strips the magic from spectacle, as he did earlier in the show when he stripped the magic from magic and the magic from storytelling, leaving something penetrable, accessible, and ultimately human. His reliance on failure and the sympathy it elicits, and on the belief in good people and in good clowns, is refreshing and exactly what is needed right now. Mike Kosowan is saving the world one clown show at a time.